Located in the village of Bramfield, just 2 miles from Halesworth, North Manor Farmhouse is very handy for Southwold, Minsmere, Aldeburgh and the Suffolk Heritage Coast. Discount given for stays of more than three nights. View pictures of North Manor Farmhouse. 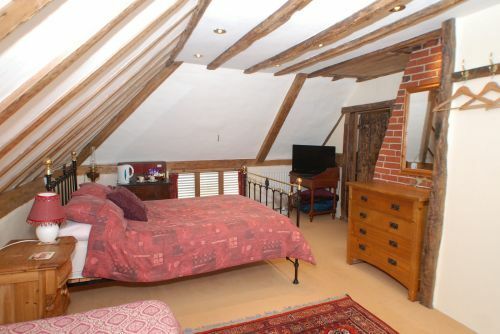 North Manor Farmhouse is a magnificent 15th century traditional Suffolk Farmhouse dating from 1402. 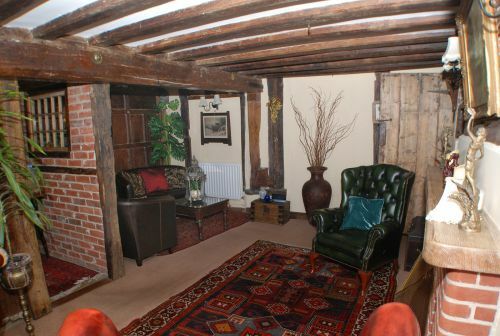 The present owners have just finished restoring the whole house and have preserved many of the original features with some huge exposed beams and fine oak panelling in the breakfast room. From here you can explore both the coast and the countryside of this special area. Nearby on the coast is the RSPB's Minsmere Reserve adjacent to National Trust clifftop land. For beach lovers the seaside town of Southwold is well worth a visit. 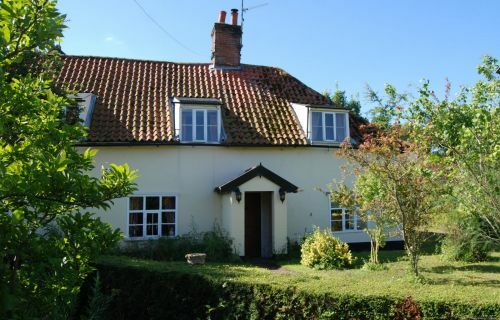 Other coastal towns and villages of interest include Walberswick, fascinating Dunwich, and Aldeburgh. For walkers footpaths criss-cross the surrounding countryside while cyclists will note that Sustrans Regional Route 42 passes just yards away, connecting to Sustrans National Route 1 (Dover - Shetland Islands). The nearest train station is just a couple of miles away, at Halesworth. 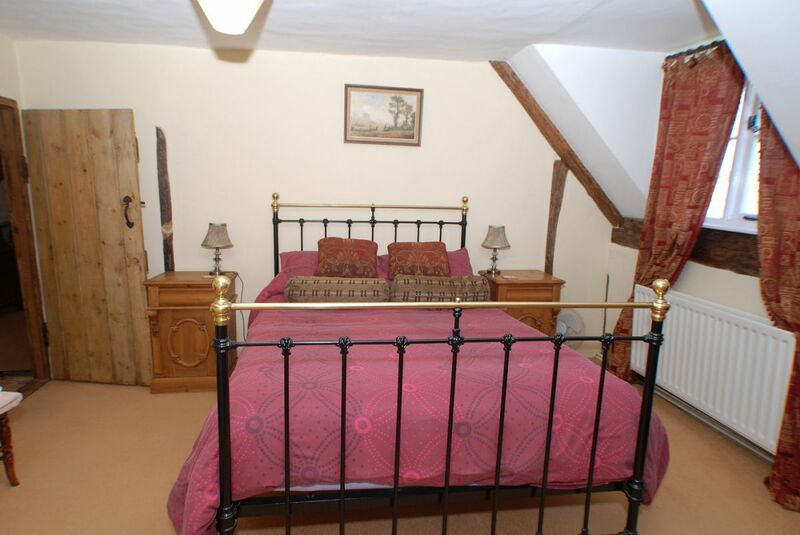 Please note that the larger double Bedroom can accommodate a further two single beds for use by a family. Please phone Crystal to discuss your requirements. In addition there is a pleasant Lounge for guests' use with an open fire in the winter. A generous Full English Breakfast, using high quality locally-sourced produce, is included in the tariff. 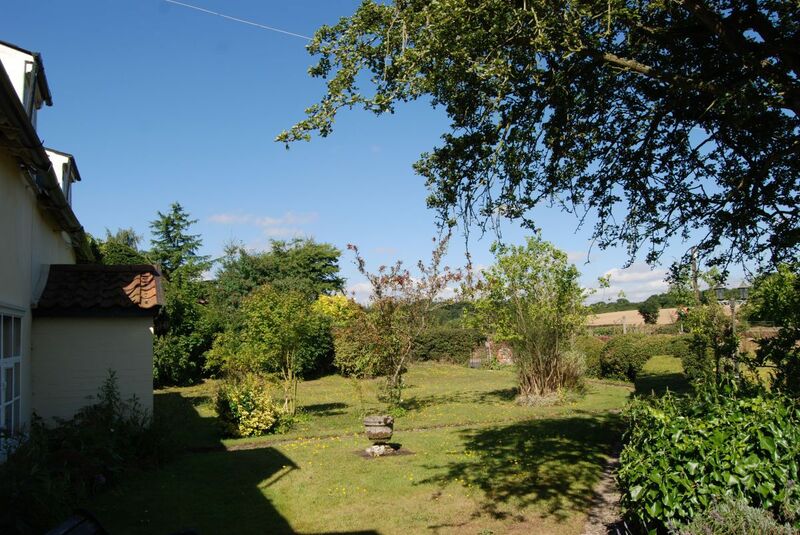 The house is close to North Manor Equestrian Centre which is also run by the family. The Centre offers riding lessons and hacking although both must be booked in advance (ring Valli Hayes on 01986 784552 for further details). 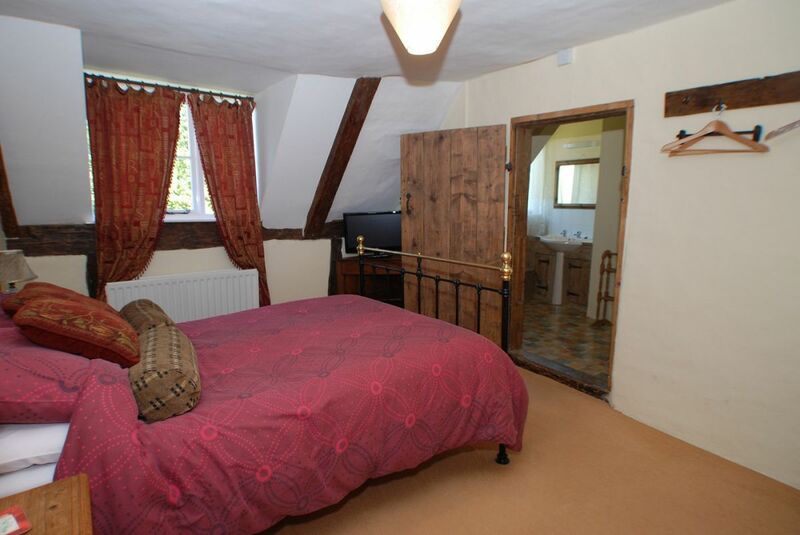 A double room is £70.00 per room per night. 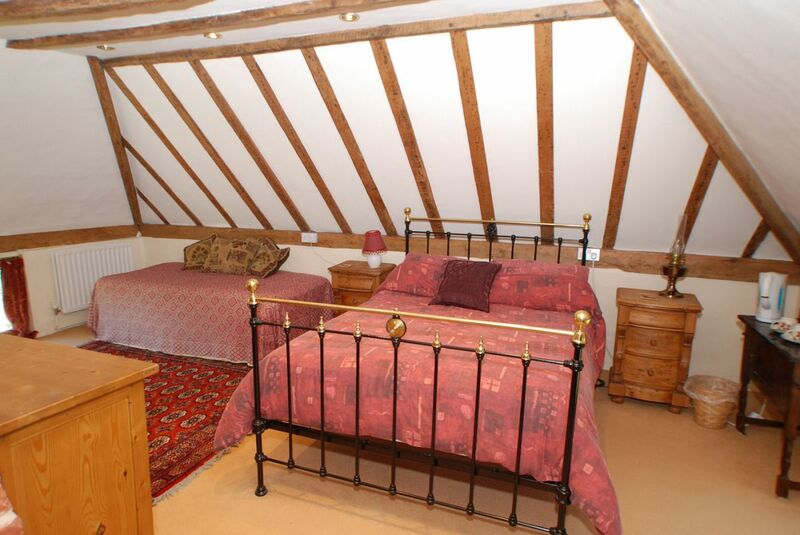 Single occupancy of a double room is £45.00 per room per night. A child sharing an adults room is £15.00 per room per night. Discounts available for stays of more than 3 nights. Please telephone on 01986 784766 to make a booking enquiry. Contact by phone is much preferred over email. The second Bedroom, with en-suite beyond. You can view a total of 7 images of North Manor Farmhouse by tapping an above image and scrolling through the gallery.